Oh, I know...you probably started thinking Ibecame a zombie (having disappeared from my blogging profile for over a month). Fortunately (unfortunately?) not! Today I'm back with a list of the most entertaining zombie movies out there. According to me anyway (& in spite of the fact that what I should be working on, is my Blog's overall look & feel). I find it extreeeeeeemely difficult to recommend movies without giving away too much of the plot and/or without the use of verbatim script quotes, but I'll try my best. For you. 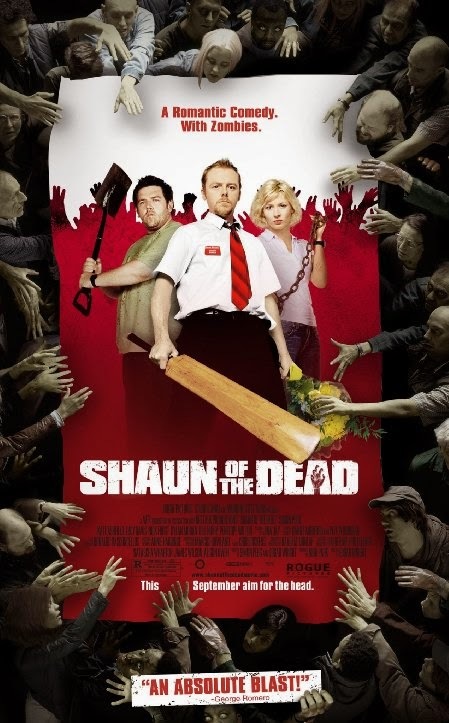 Shaun of the Dead will forever be one of the funniest zombie movies I've seen so far!!! Those Brits just know exactly how to tickle my funny bone and I have not yet met anyone else who saw the film & disliked it. I cannot believe I left this beauty off of my original Horror List! Seriously - I shrieked, I laughed, I gagged. Check it.